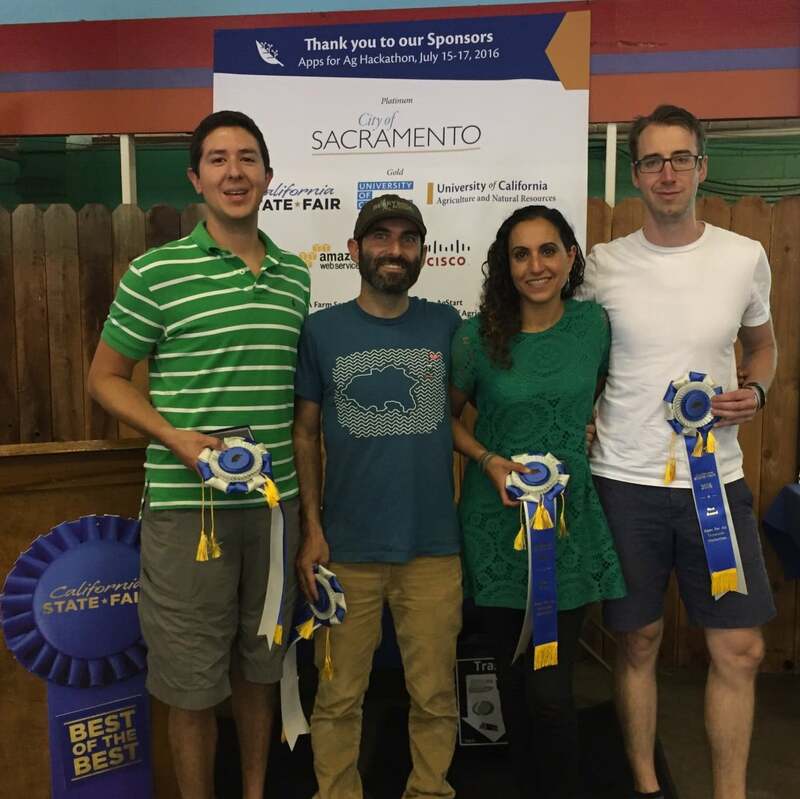 Deema Tamimi had one plan for the 2016 California Apps for Ag hackathon: get in and get out. She thought the weekend-long event would be a good opportunity to meet people, but she didn’t feel ready to launch a new app, and so she planned on stealing away soon after the hackathon began. This, despite the very impressive resume she’d accrued and the fully-formed idea for a gardening-based app that had been brimming for half a year. After the pitch, two engineers approached Tamimi and offered to help build the app. What followed was a 48-hour scramble where Tamimi, her husband Josh Livni, Scott Kirkland, and John Knoll worked together to create the app that ended up winning the hackathon competition. They walked away with a cash prize, office space and support from AgStart, legal advice from Royse Law Firm, and awards from the California State Fair. Best of all, their collaboration didn’t end at the hackathon. The team has incorporated as a business and they’ve developed their app, called Giving Garden, for iOS and Android marketplaces that will be fully available by this summer. Tech is an environment that is often unkind to women and people of color, and she believes that success and collaboration at a hackathon can provide the confidence that marginalized people need to keep going, despite discrimination. She’s been reaching out to students at UC Davis, connecting with professors and student organizations, and spreading the word over social media. This is strategic: she wants to provide technology-minded students with a success that will bolster their career early on. The 2017 Apps for Ag hackathon is open to anyone who is interested in food innovation through technology. You don’t need to be a programmer, you just have to be willing to collaborate with others. The hackathon is run by UCANR as part of their effort to increase innovation and entrepreneurship in food and agriculture. The hackathon takes place July 28-30, 2017. Organizers are still looking for a place to host the event in either Davis or Sacramento, California. Registration is open, and the early-bird pricing is available until June 15. Food is provided throughout the weekend, but participants must cover their own accommodation and/or transportation. The hackathon will start on a Friday and end in the late afternoon Sunday, with the final presentation at the California State Fair. This year, prizes include a top cash prize of $10,000, tickets to the UC Davis Food and Ag Entrepreneurship Academy and other resources to help teams start their ventures. Join in, and maybe we’ll be writing about your success story next! The SF-Bay Area ISOC Chapter will cover the entrance fee for up to three qualifying Chapter members. If interested, please email us at [email protected].